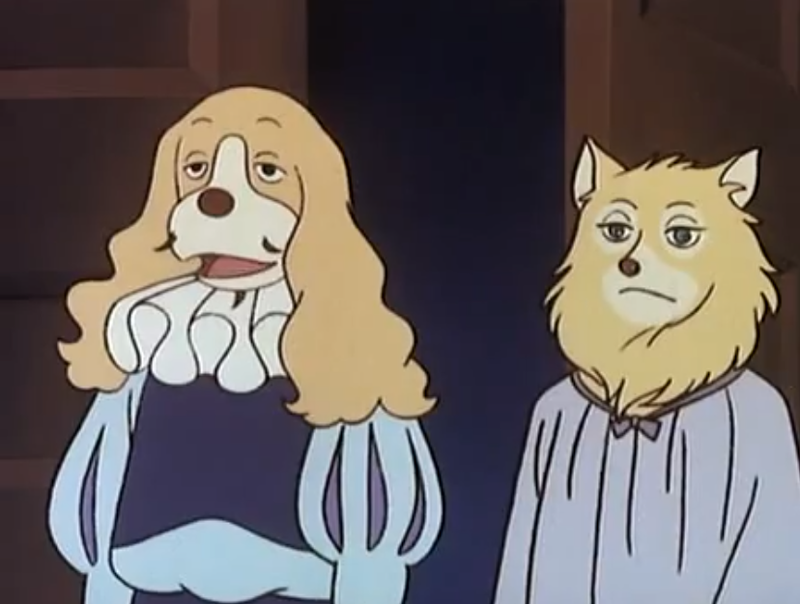 Based on the adventures found in Alexandre Dumas’ novel The Vicomte of Bragelonne: Ten Years Later, this cartoon series is about anthropomorphised dogs in 17th-century France. The famous musketeer motto, One for all, and all for one! closes each episode. I’ve added this because my husband grew up in the 80s and he remembered this series and told me I ought to write a post about it since I don’t have anything for children on this website (just as well, really, as we have adult stuff). 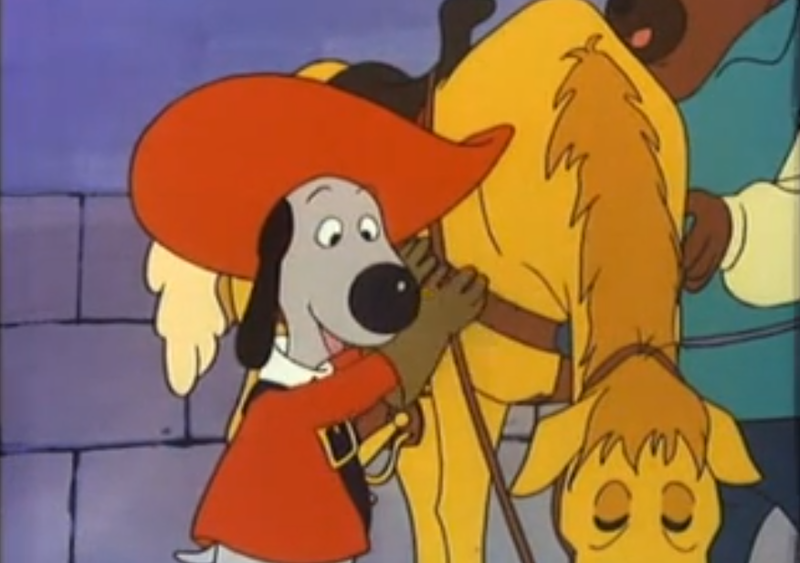 The story centres around young Dogtanian (D’Artagnan) and his journey from his small village life to making his way in the big city of Paris. 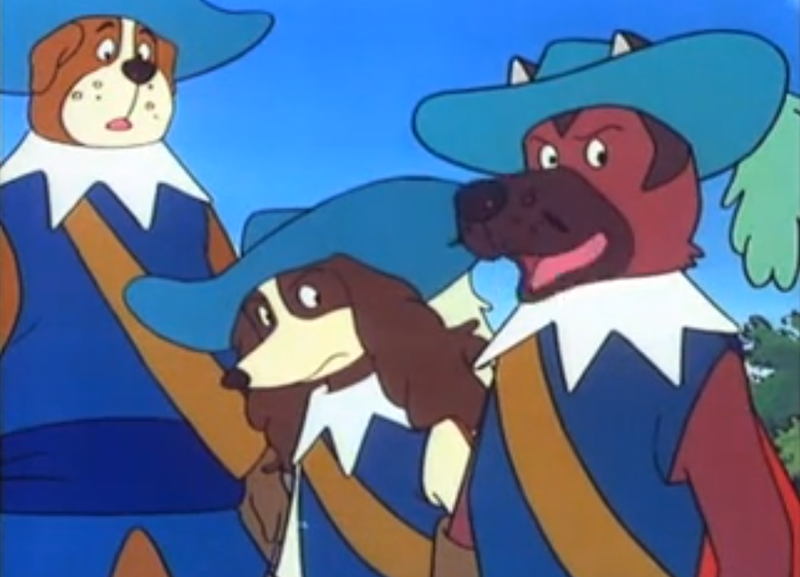 Along the way, he befriends the three muskehounds (though there are only ever called musketeers in the series) Portos, Athos, and Aramis. 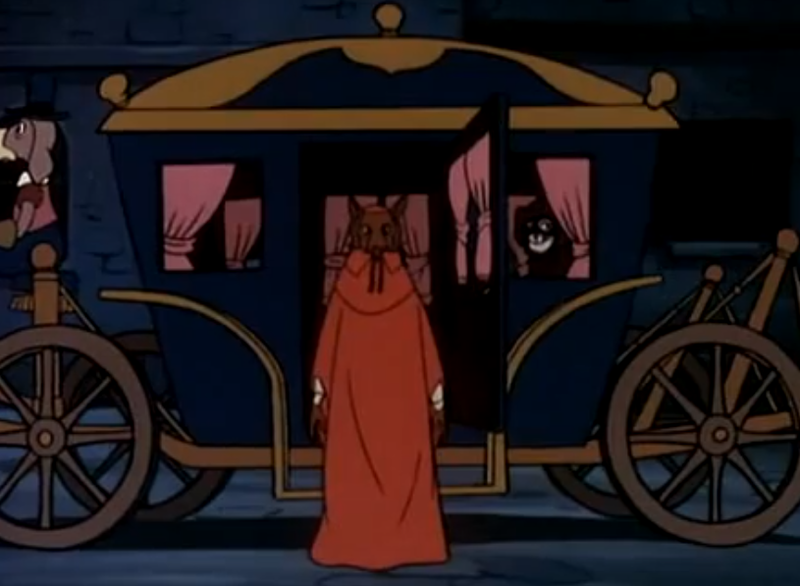 Cardinal Richelieu, always the baddie, and he is very bad in this. Mostly referred to as “Black Moustache”, Roquefort is my favourite of the villains. 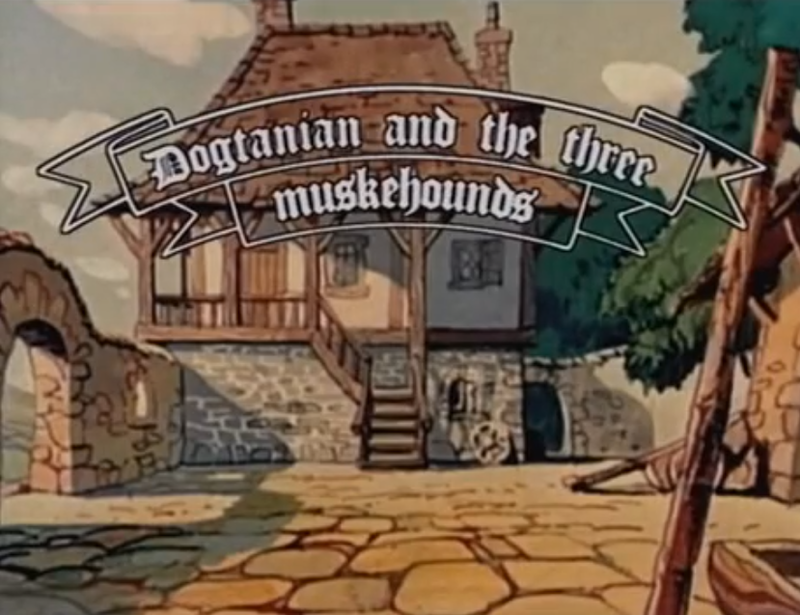 I especially enjoyed the way he kept referring to Dogtanian as “the country bumpkin”. 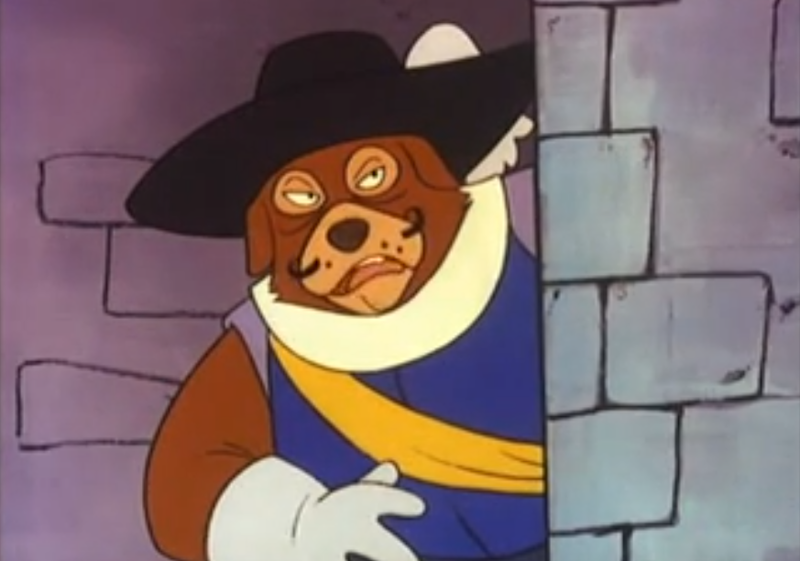 The worst thing about this character is his horrible pronunciation of the Duke of Buckingham. In English, it is Buck-ing-uhm, and the voice-over artist constantly says, Bucking-HAM. It’s a tiny thing, but UK viewers may find this slightly irritating. 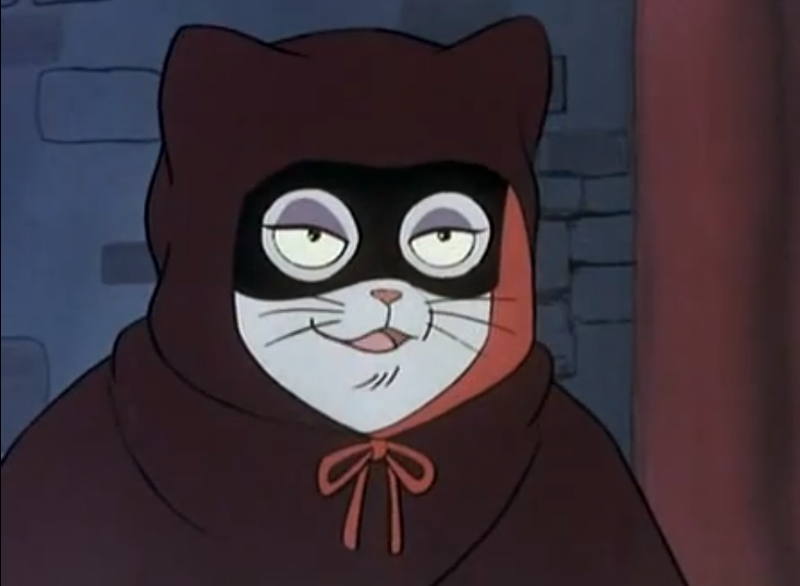 ….and the scheming temptress, Milady, is in this adaptation, a cat! 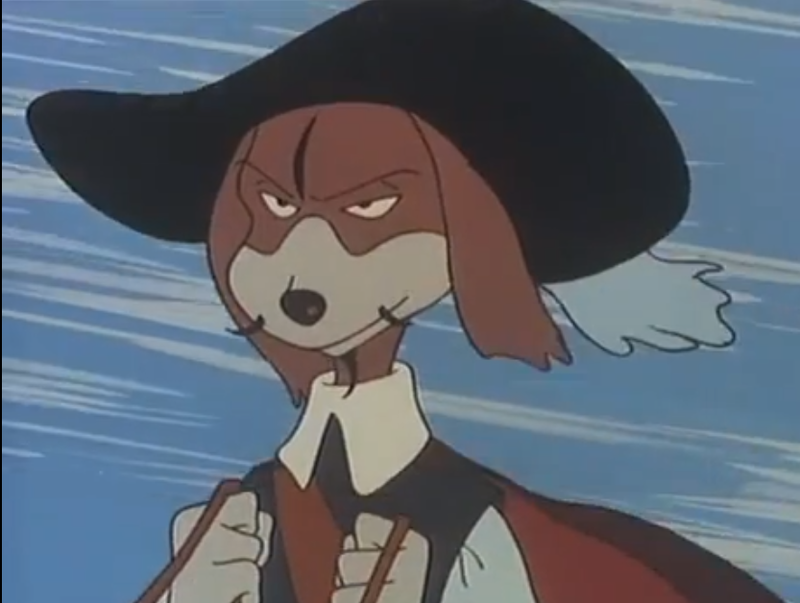 The bumbling fool is Widimer, who tries to be a baddie, but he isn’t very successful, often making himself ridiculous in front of Richelieu and his musketeer enemies. Cons: the intro and ending are very long and I wouldn’t suggest watching these episodes back to back. I did so for the purposes of knowing what it was about, but I can’t get the gosh darned theme song out of my head!!! (it’s very catchy, rather like “It’s a Small World After All”). The story is slow-moving, which I still think is good for younger kids. 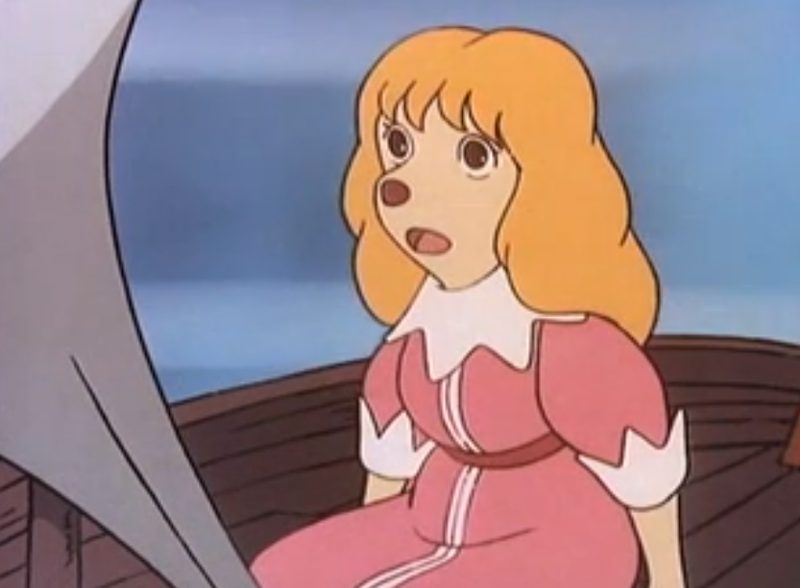 Also, the voice-over actor who voices Dogtanian is almost always screeching, so it can do your head in, again if you watch it back-to-back, so don’t.